Microsoft Outlook – a platform that has been around for quite some time never fails to wow users with new and better features. The latest features added to Outlook help you get rid of those ‘honest mistakes’ such as misspelled names, omitted recipient, and even missed calendar events. This new emailing client specifically designed for Office 365 ensures that you will never have to suffer the same embarrassment again. So, how does Microsoft Outlook new features change the way you work? Well, simple. It actually learns from your own browsing and communication habits. It is able to digitally absorb information based on the people you have communicated with recently. It is also capable of recognising your own groups based on your calendar and contact information list. So, if you opt to send a quick e-mail to your colleague, all you need to do is to place your cursor over the ‘To’ and ‘CC’ options. Outlook will then prompt the suggested contact information via the drop down menu. The suggested recipients will all depend on recent activities and communications you have had prior to writing the e-mail. The best thing about this, is that you sure will not have to type misspelled names. Gone are the days of countless apologies. Another smart improvement is the automatic updating of your calendar. Once you book any flight, you can expect that outlook will include your flight schedule on your calendar. Outlook can collect pertinent flight information from confirmations and e-tickets sent to you by email. This is particularly helpful for those who are in-charge of multiple calendars. It is only a matter of days until Office 365 and Microsoft Outlook users get to benefit from these two improvements. These new features will all be rolled out this coming New Year. So next year, expect a more organised address book and calendar from Outlook. 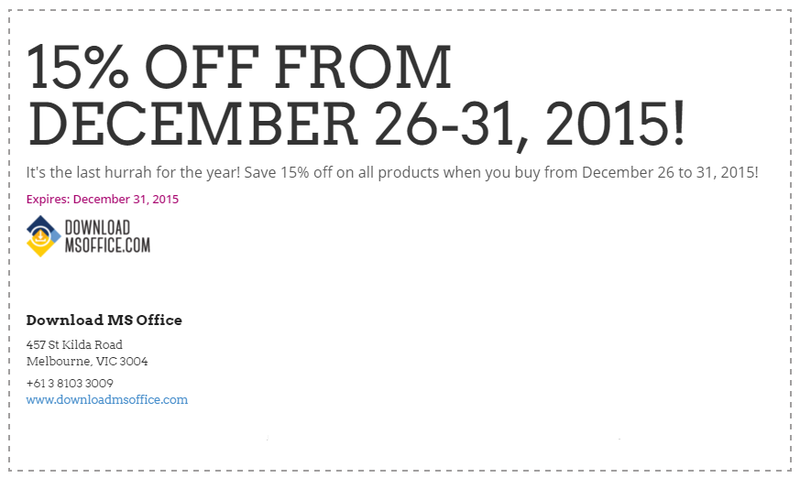 Buy Microsoft Outlook until December 31 to save 15% off!